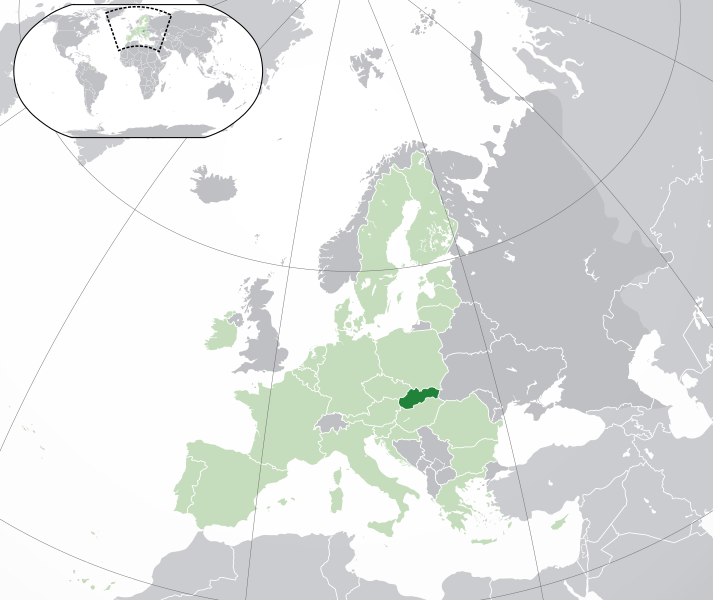 Czech Republic: scepticism without euro-scepticism? 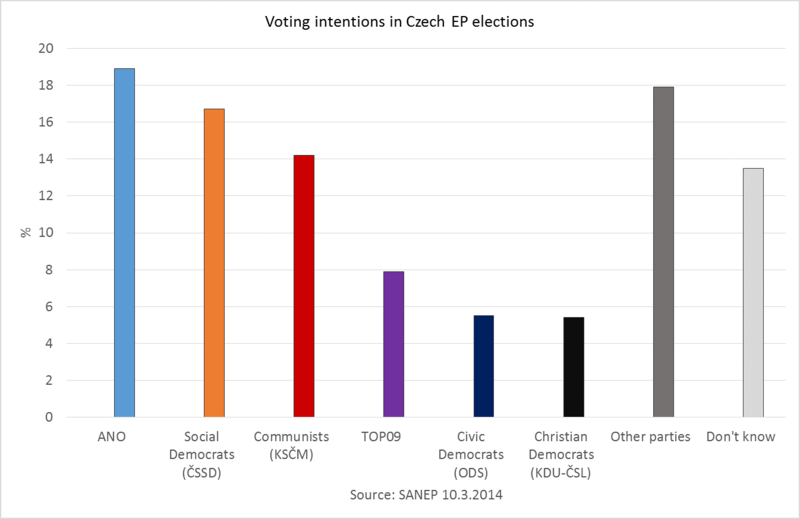 As elsewhere in Europe, elections to the European Parliament on 23-24 May in the Czech Republic will be more of a trial of domestic strength, than a contest over EU issues. The EP elections come at a time when Czech politics is still in flux following the ‘political earthquake’ unleashed by national parliamentary elections in October 2013. These saw the eclipse of established right-wing parties; sharp electoral setbacks for the Social Democrats (ČSSD), the main party of the Czech left; and a dramatic breakthrough by the new ANO movement of billionaire Andrej Babiš. Early indications are that they will. Projections by Pollwatch 2014 (based largely on general polling data) suggest that ANO and ČSSD, who have governed together in an uneasy centrist coalition since January, will top the polls with around 22 per cent of the vote enabling each to elect 6 MEPs. Polling by SANEP which asked specifically about the European elections broadly echoes this, but gives ANO a clear lead. The election campaign that propelled Miloš Zeman to the Czech presidency a year ago was a mixture of boundless self-belief, disregard for political convention and ruthless targeting of opponents. Zeman’s first year in office has seen him bring these self-same qualities to bear in a concerted drive to remake the Czech political system, revealing a hitherto unsuspected taste for political risk-taking. The net effect, however, has been far from Zeman intended. His initiatives have wreaked a trail of political destruction, felling both friend and foe alike and leaving the president himself politically damaged and deeply unpopular. As an exercise in short-term tactics the imposition of a handpicked caretaker government under ex-finance minister Jiří Rusnok was a master-stroke, blindsiding the country’s parties and finally killing off the centre-right coalition. But Zeman’s hubris and taste for the political coup de main quickly rebounded. 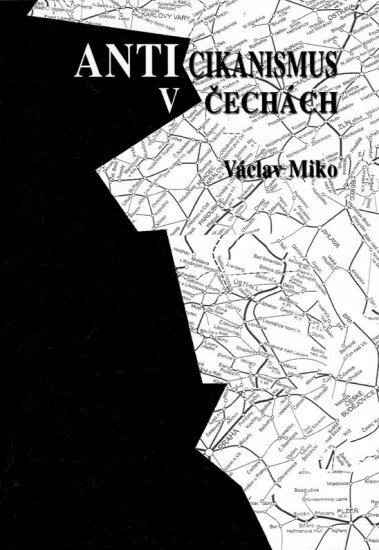 The Czech Republic is not Ukraine and its constitution was not so easily buckled into a semi-presidential system. 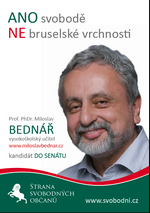 A caretaker ‘government of officials’ (úřednická vláda) without a parliamentary majority can do only so much and survive in office for only so long. 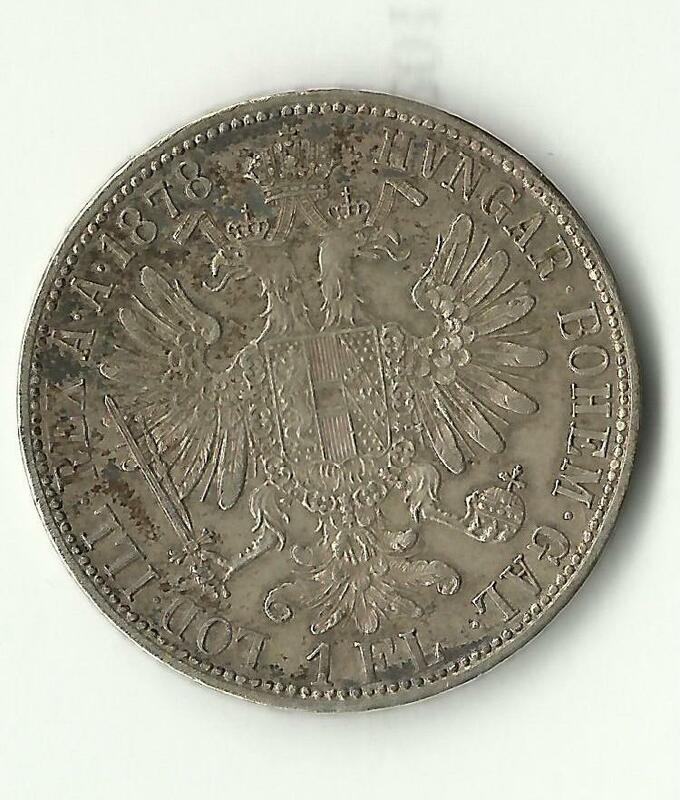 It has to be the single oldest thing in the entire house: a silver one Gulder piece from the Austro-Hungarian Dual Monarchy minted in 1878, given as a curio to one of the kids by a Czech relative. About the size of a British two-pound coin, it’s well made and in surprisingly good condition, it would – as far as I can work out from a brief online trawl of historical statistics – once have been a sizeable chunk of someone’s weekly income. Or at least someone from lower social strata. Its good condition is probably explained by the fact that it probably wasn’t in circulation that long. In 1892 the Gulden (known in Hungarian as the forint, in Czech the zlatý)) was replaced by a new Austro-Hungarian currency the Krone tied – with a degree of fiscal discpline that some modern day of the Euro would no doubt appreciate – to the Gold Standard. Further background can be found on the found here on the Policy and History website in a paper written by Richard Roberts in 2011, which seeks to draw lessons from the Habsburg experience of a single currency without one state. The main conclusion is that budgetary indiscipline can be fixed by tough minded independent central bank(s) policing tough fiscal rules for governments, which wish to play ball. Despite the popularity of the Uncanny Historical Parallel as insight way into the present – BBC Radio 4’s The Long View documentary series, for example, does a fascinating job of ‘uncovering the present behind the past’, especially in interviews with contemporary politicians – I’m not sure if the Habsburg model of European integration, if that is what it was, has that much to tell us. As Richard Roberts notes, there is something of a difference between two governments co-ordinating to govern a single currency and 17 (or in a broad sense 27). He also seeks the EU’s (surely now stalled?) enlargement agenda as the important and potentially derailing difference of the EU/Eurozone with the Dual Monarchy which is seen as victim of exogenous, apocalyptic shock of WWI. All this seems rather oddly to ignore more basic political issues of identity and democracy. The Habsburg Dual Monarchy and its currency crumbled due to its inability, among many other things, to create and accomodate national political structures – six states emerged from its former territory in 1918 (today by my reckoning 11) – while the current EU seems to be struggling due to inability to roll back and rein in well entrenched national states . Perhaps, at bottom, despite huge democratisation of European political systems a century on, the problem is really the same – mismatch between political forms, political identities and functional economic necessities, the type of conundrum outlined by Gary Marks and Lisbet Hooghe in their ‘postfunctionalist’ take on integration a couple of years ago. A quick root around around the odd coins and other bits of funny money amid the odds and ends on the mantelpiece reveals some Czechoslovak crowns from 1950s and 1970s and a 50 Euro cent piece with the national design of Greece. As an occasional follower of developments in the British Tory-led European Reformers (ECR) group in the European Parliament, I was intrested to discover that the latest addition to the ECR fold was Luxembourg’s Alternative Democratic Reform party (ADR) Actually, the ADR joined back in June, but as it has no MEPs and Luxembourg politics is not something that even I- with my penchant for small parties and small countries – don’t follow that closely, it passed me by. The ADR is, however, an interesting right-wing populist outfit, which has it origins in 1987 as grouping demanding the same level of pension rights for private sector employees and the self-employed as for well looked after state employees. It later broadened out its politics into anti-establishment, anti-bureaucracy positions and is, of course, eurosceptic for these kind of reasons. Some Luxembourgois political scientists have seen it as a functional equivalent of a radical right party, which is unlikely ever to emerge in the Grand Duchy due to a rather distinct, cosmopolitan national identity; a great deal of wealth; and norm of having very large numbers of non-nationals (mostly West European EU-ers) as a fact of life. Still, the ADR has managed to raise concerns about immigrants it sees as less desirable, which seems mainly be have been a debate centring on asylum seekers and illegal migration – and some academic studies rather casually lump it in with the anti-immigrant far right on the basis of expert surveys. The ADR has never been in government – considered something of dodgy outsider by the country’s political establishment – but has been a solid part of the Luxemboourg political landscape for more than two decades with around 10% of the vote. This leaves the ADR potentially well placed to to add an MEP to the ECR (it missed out very narrowly in 2004 and by a slightly bigger margin in 2009) a grouping already not short of one-member national delegations. >British voters: Václav Klaus needs you! > As in all the best action thrillers, it comes down to this: one man holds the fate of Europe in his hands. Unfortunately – or for those of a certain ideological disposition, fortunately – that man is not Arnie Schwarzenegger or Claude van Damme, but Václav Klaus. Actually, it’s only the fate of the Lisbon Treaty that Mr Klaus may hold in his hands, but as the Czech President has increasingly struck a Masarykian pose over the past few years coming up grandiose personal visions of a Europe re-made (or rather unmade) as a loose alliance of nation statse states bound by common values and free markets, he might prefer the former billing. But still, the Czech President’s willingness (or unwillingness) to pick up a pen is (or soon will be) all that stands between final EU-wide ratification of the LisbonTreaty. Of course, as a dyed-in-the-wool opponent of Lisbon and the ill-fated Constitutional Treaty, Mr Klaus understandably does not want to pick up his. But surely, sooner or later he has to? The Treaty was, after all, duly ratified in both houses of the Czech parliament several months ago, after all, and Klaus is merely an indirectly elected head of state of a small country with pretty every EU government (including his own) against him. Despite the optimism of the Czech Republic’s caretaker technocrat Prime Minister Jan Fischer and his Foreign Secretary, Stefan Fule, that the Czech ratification of the Treaty would come by the end of the year (and what else, could they say? ), this is, however, far from clear. On ordinary domestic legislation, the Czech president does not have strong powers. He has a weak veto on parliamentary legislation, which can be overturned by a simple majority vote of the lower house. His executive powers are also limited. Appointing judges and central bankers and choosing a Prime Minister designate to form a government after election is about the size of it. However, when we come to international treaties things are bit different. Article 631b of the Czech Constitution states that the President “negotiates and ratifies international treaties”. But no one is quite sure if this means the President must sign treaties approved by parliament (directly or as with EU accession by delegating it powers to a referendum) or that he must to do for treaties to be ratified but may not if he chooses. Indeed, a lively debate on the subject has ensued in Czech legal blogs (see here, for example). Some have suggested that were the first interpretation to be followed, a refusal to sign would result in the Treaty passing into law anyway, but that would have to be tested out in the Constitutional Court with the certainty only of a long, complex and controversial case. Point blank refusal is, however, neither legally nor politically necessary for Klaus to hold up the Treaty There seem, however, to be a consensus that the President can (and indeed should delay) signing a treaty if he thinks it needs further examination or it constitutionality needs testing out. How long can he reasonably do so? How long is piece of string? Statesmanlike as every Mr Klaus has gone straight for this strategy of seeking minor (but, of course politically unfeasible) amendments to the Treaty in the fundamental interests of the Czech state: specifically he is concern that the Charter of Fundamenal Rights might allow could enable the European Court of Justice to revise the 1945 Beneš Decrees under which the post-war Czechoslovak government stripped its ethnic German citizens of property and citizenship. This demand is a clever move combining the President’s widely recognised but informal constitutional role of guardianship of the state role with a totemic and sensivity issue connected with national identity and demand which, viewed superficially, asks for no more than the kind of opt-out that old member states like the UK feel amply entitled to as a matter of course. 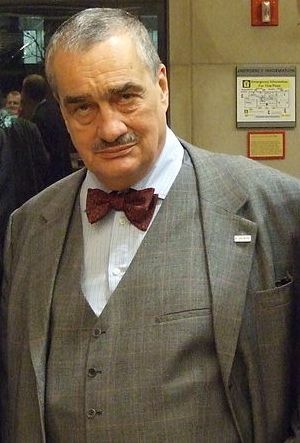 The country’s politicians and major parties could, in theory, cut through the Gordian Knot by curtailing the President’s powers, or indeed remove Klaus directly through some special constitional law or more indirectly by re-making the nature of the Czech presidency altogether through a constitutional amendment (as the Greens seem to suggest). However, given the present non-partisian caretaker government, which rests on a not altogether solid political agreement between the two major Czech parties, divisions in ODS and the unpredictable but Lisbon-unfriendly position of the Communists this seems unlikely. It might also be problematic constitutionally given that the Constitutional Court has akready rapped politicians’ knuckles for attempting similar jiggery-pokery with the Constitution to allow early elections. Article 65(2) of the Constitution also allows the indictment (and possible removal) of the President for high treason in the Constitutional Court following a Senate vote but, I suspect, even the most ardent europhile might balk at equating Klaus’s opposition to the Lisbon Treaty with this. But is there any kind of end game available to Klaus? Even if he could, if he wished, lay into the current caretaker government’s lack of legitimacy (Who voted for Fischer or Fule? ), even in the Czech context the indirectly elected Klaus lacks either the public backing or the political legitimacy to block the will of an elected parliament for ever and a day. Help, however, is happily at hand in the form of the those old ideological confreres the British Tories, even if Klaus has been fairly contemptuous in the past of the touchy-feely, bluey-green conservatism of Dave Cameron and co. Trying to fudge the issue of Lisbon without facing down his party’s eurosceptics or re-open a very internally divisive issue, Cameron promised a British referendum on Lisbon (which would almost certainly reject it) – as a extra to the Treaty’s existing ratification by the British Parliament – if and only if the Treaty was still unratified elsewhere and so not in force. Dave must be delighted at the prospect.